As my birthday approaches, I cannot help but think about the fact that this year I will have outlived my mother. She lived only 2 months past her 56th year. Her life cut short sped up mine. As a woman just entering my 20’s, I had no time to lose. I subconsciously put my life into fast gear and by the time my father died 6 years later, I had already zoomed through my graduate studies, married, opened a private practice, given birth to two beautiful daughters, moved cross country and bought my first home. I cannot remember ever thinking about my days as a grandmother or what my life would be like as an older woman. I had no long horizon, no vision of what life after 60 would look like for me. I didn’t plan, or save, or wait on any moment that I wanted to experience later. There was no later, only now. As I think back on my life’s choices, I have little or no regrets. Besides wishing I had saved just a little of that hard worked for inheritance from my father, I would do it all again. So that leaves me here now. Continually searching and seeking a life of perpetual joy and meaning, as little pain and suffering as possible, and a huge sense of gratitude for where I sit — in good health, closely surrounded by my family and loved ones, living in a most beautiful setting and full of more energy, vision and purpose than ever. Getting older has not deterred my optimism or my desire for pushing the envelope on life. I still do not have a clear image of what I will be like as a grandmother, or what my future will look like down the road. I still believe in living every day with great wonder and with an effort to making a difference. In some ways, from this birthday forward, I will be living life with extra zeal — for my mother and me. 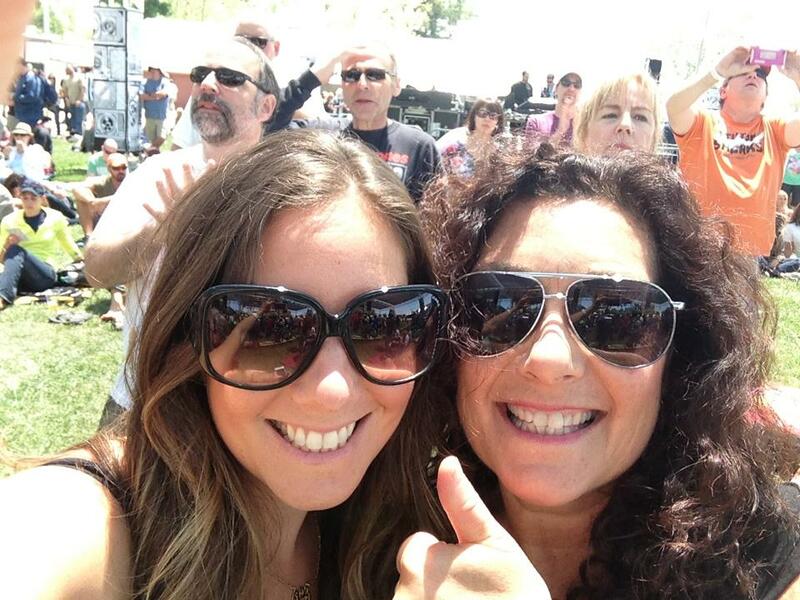 I recently spent four days at an outdoor rock ‘n roll music festival called Bottle Rock Napa Valley I hadn’t been to a rock concert in over 30 years and I had never been to one that lasted for days. I spent the first 2 days with my 20 something daughter. We were totally compatible about what bands we wanted in our line up each day and yet we were still met with many surprised comments such as, “You came to a rock concert with your mother? How cool!” The last two days of the festival I was on my own and I proceeded to bump into local people and meet up with some dear out-of-town friends, you know the ones, the loyal rock ‘n rollers that travel great distances to hear their favorite bands. It wasn’t hard for me to get to the festival each day. No traffic jams, parking shuttles or hotel rooms. I only had to walk about one mile from my house and there it was just waiting for me to partake. It could not have been any easier. First, let me confess that I absolutely loved it. And I loved each day so much more than I could have possibly expected myself to at this moment in time. These days I have been priding myself on experiencing much more opera than hard rock but the mix of musical offerings at Bottle Rock Napa Valley (BRNV) while not tame, traversed a musical range that kept everyone satisfied. What was tame was the crowd—the people that surrounded me were men and women who spanned the age ranges from 15-75, were surprisingly mostly all white folks and polite, fun and friendly. We shared blankets and danced and sang together. People introduced themselves to one another and no one seemed particularly agitated, inebriated or rude. Even when most of the crowd’s smart phones could not send or receive text messages no one seemed to freak out. Lots of people could not find their friends or missed “meet me here” texts but no one let that ruin their fun. Even the people in the long beer lines stayed pleasant. And now what about the actual music? I found the performers interesting, thoughtful and thoroughly entertaining. Many of the bands I had never heard of before but some had big enough hits that I recognized a song or two from the set. One of my favorite newer bands that played at noon one day was the Whiskey Sisters. Two women, Barbara Nesbitt originally with Tim Flannery and the Lunatic Fringe and Teal Collins formerly with the Mother Truckers joined forces to create a great sound and a fun show. With only 3 stages within a close range, it was a breeze to navigate from one stage to another. There was also a comedy spot and a smaller stage that had action all throughout the festival days and there was plenty of great food and wine choices to make Napa proud. The best part about BRNV was the BRNV producers , Bob Vogt and Gabriel Meyers from Willpower Entertainment added a very meaningful twist to the event . They included a philanthropic element to this rock ‘n roll festival. Not only did they promote the idea of giving back to local and national non- profits but they had an entire building designated to showcasing the non-profit organizations that would be benefiting from the charitable proceeds of the event. This was the total rock star element of the festival for me. So wanna meet me at Bottle Rock Napa Valley next year? They already are selling tickets for May 9-11, 2014! Once again, we find ourselves standing at the time of the year when we are supposed to charge full steam ahead into an improved diet, renewed gym membership and better disposition. We are to commit to a revised list of must dos and will not ever agains –underlined and starred. What if we move into the New Year considering who we want to be in 2013, rather than dwell on what we don’t like about who we are now? Most of us ring in the New Year without having any idea how to make peace with our past, forgive ourselves for our imperfections and embrace our lighter, brighter self. This year, how about trying to get in touch with your 2013 self? If we stop letting our past shape our future, we can embark on a surprisingly creative and inspired journey this New Year — even if it feels like an entirely new self that is taking the ride. Why not try focusing on the incredible joy that is possible from a life of meaning, purpose and authenticity? Perhaps there’s no need to create a long list of New Year’s resolutions. Instead, how about we imagine a new 2013 self — one that is stepping into a whole new ball game, without last year’s uniform? I am starting with a commitment to be that girl who gets a massage every month and sees at least one girlfriend or daughter each week. I am going to spend lots of time doing artsy things like going to museums, painting pottery and writing. I am going to spend more time near the ocean, even if it’s too cold to swim or even dip my toes in. I am going to dance more and drive less. I plan to stock more great red wines in my pantry and add more pretty party dresses in my closet amongst my work clothes. I hope to write more letters to loved ones (even simple emails) so that my affection for them will be around long after I am not, and I am going to try and celebrate as many occasions as possible even if the people whose occasion it is are not present to share it with me. I am going to purposely release anything I did in 2012 that I am ashamed of, feel terrible about or wish I never did, and I am going to try to forgive myself completely for my too-numerous-to-mention flaws and instead focus on those attributes I find admirable and even charming. I am recommitting to doing more of all the positive actions I have taken this past year and want to do more of this next year, especially acts of loving kindness and compassion for others — these I want to always top the list. 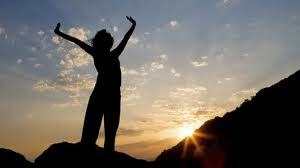 Imagine this New Year 2013 as an opportunity to be whoever you want to be. Your happy life is waiting for you to start right now. Happy New Year! I decided a few months ago that I wasn’t having enough unadulterated fun. I was too busy being serious, researching important but concerning topics, working long hours and not spending nearly enough time living life with more abandon. Now nobody has ever accused me of being too conservative, acting too rationale or playing it safe but nevertheless, I was still feeling that my life was bordering on boring and I needed to desperately ratchet up the fun factor. So I set out to accept all invitations that came my way for parties, fundraisers, art openings, Spa dates, happy hours, wine tastings (lots of offers of these in the Napa Valley) and generally anything else that crossed my path that smelled like FUN for one month. It was amazing how many opportunities pass by your view in any given month if you are looking for them. All of the sudden the doors of the funhouse flew open and I was spending more time being wonderfully engaged in joyous, light hearted and amusing activities with lots of people also interested in filling up some part of their week having fun. Long evenings alone sitting in front of my computer screen were now replaced with movies, dinner dates and girls night out. The best part about this new agenda was that I didn’t have to quit working to engage fully in my fun month. Instead I continued to work and actually felt more inspired and creative than I had in a long time. By pushing the fun factor up a notch or two, I found much more to think about, write about and share. I met lots of new people and learned about upcoming events and activities in my local area that I would have completely missed. Ideas for new stories and interesting personalities for radio interviews rushed towards me during my month of fun like rapids in a river. I had lists of characters and places around town that I wanted to learn more about, meet up and visit. And the next month rolled into the next and here I am watching my fun month become my fun life—just like that. This Summer and into the Fall, I have taken on a number of interesting media gigs. Beginning with the spectacular Wine Women and Shoes event in Napa.http://www.winewomenandshoes.com/napavalley2012 . Next up I will be covering the WOW factor event on Sept 8th, with an incredible line up of women speaking about women’s health and vitality http://www.thewowfactor.co/speakers/. Sept 21-23 will find me at the Omega Institute’s Women and Power conference in Rhinebeck, NY. What an honor it is to be there just in time for the launch of Omega’s Women’s Leadership Center,http://eomega.org/workshops/conferences/women-power-conference. On October 2 I will be in Philadelphia covering the PA Conference for Women and my daughter Alexis(alexissclamberg.com) will be speaking! http://www.paconferenceforwomen.org/ Looking forward to meeting, interviewing and writing about all these events. Listen to the commentary segments on Alive and Kicking on WAMC.org’s 51% NPR radio. Enjoy! This year I am not making any New Year’s resolutions. No list-making of all the things I should have done this past year but didn’t or the even longer list of what I should stop doing. Instead, I am going to focus on all the fabulous things I have done, want to keep doing, love to do and want to do more of in 2012. This is not my brilliant idea — although I do wish I had come to this stroke of genius on my own. Credit must be given to the lighthearted learning I acquired while reading, “My Nest Isn’t Empty, It Just Has More Closet Space” by Lisa Scottoline. She may be a New York Times bestselling mystery authorhttp://scottoline.com/About/, but this pearl of wisdom jumped out at me as I made my way through her collection of Philadelphia Enquirer columns. I laughed out loud at many of the entries but when I got to the columns about the holidays just as the holidays were upon us (don’t you love when that happens?) the UnResolution made perfect sense. So here we are closing down 2011 and I am taking great pleasure in thinking about all the fun I am going to have in 2012. I am going to keep doing all those activities I absolutely love, like cooking more dinners for friends and family, tasting and drinking great wine, watching more great movies, growing a bigger garden and finding as many excuses to laugh as humanly possible. So thank you Lisa, for being my inspiration to release all those obligatory New Year’s resolution lists and instead fill my mind, heart and soul with all the wonderful aspects of my life that are here right in front of me, just waiting to be seen. Meaning no disrespect to our women in the armed forces, the women warriors I am referring to are not packing a pistol or taking orders from anyone. These women warriors are fiercely feminine and fully equipped with more powerful energy, creative inspiration, deep intuition, knowing, and vision— mountains of vision more magnificent than is possible to describe. Picture this: hundreds, no thousands of women, yes, hundreds of thousands of women coming together to share ideas, best practices and wisdom. To inspire one another, support each other and collectively make a difference in their lifetime. In large retreats, worldwide telesummits, online webinars, massive conference halls and small workshop settings, women are joining forces. This is no “each man for himself” but rather a collective of training, support and guidance—a virtual woman-to-woman fusion of creativity circles, think tanks and enthusiastic team building, nurturing the power of the feminine spirit and holding hands with one another across the planet. A call to inspired action and positive change. The mission? The mission and vision of women warriors is without question to save the planet from ourselves. Having given men the opportunity to lead for centuries, women are now poised to take back the reins and gently guide us back on track. Whether it is the celestial spinning of some divinely feminine goddess star or the groundswell of highly educated and motivated women right here on earth, one fact is certain—the power base is definitely shifting. And we have just begun to collaborate. Women are taking decision-making portfolios and moving into careers that once were exclusively for men. The creation of new platforms for women to “strut their stuff”—and not in skimpy swimwear—is popping up in the most unlikely places. Small African nations are training women in auto mechanics and information technology. Initiatives such as the new United Nations superagency, UN Women launch in March 2011, with the former president of Chile, Michele Bachelet at its helm, is making history. A new woman’s voice is now being heard at the U.S. Agency for International Development (USAID) with Carla Koppell heading the department of Gender Equality and Women’s Empowerment. These are merely two examples of women stepping into positions of strength and power. When we turn to have a peek at the current array of thoughtful, inspirational, purposeful and productive women thinkers, leaders, authors, speakers and visionaries, the list is overwhelming—but in the best possible way. Female experts in every imaginably resourceful field are climbing out from under their desks and from behind their laptops to share their knowledge and their vision for a better world and a brighter future. Activists and poets, artists and politicians are reaching out to bring up another woman and gather each other in numbers never before seen. Shining bright stars, women warriors are every color, age and descriptive profile. Their energy, enthusiasm and hopeful spirit is contagious. Dream weavers such as Marcia Wieder, passion finders the likes of Janet Atwood, wisdom seekers of the divine feminine, Devaa Haley Mitchell and Elayne Doughty, spirit leaders like Elizabeth Lesser from Omega Institute, journalist trailblazers to the tune of Rita Henley Jensen at Women eNews and the list goes on and on. The work of the woman warrior has just begun. There is still much to do to crush inequities and repair and heal injustices. As women, we live longer than men and make up the majority of the world’s poor, so we must care about decisions that impact women and girls, those living in poverty, battling violence against women, suffering under lower wages, gender bias, sexual discrimination and human trafficking. We give names to the disillusioning challenges that still exist for women but the woman warrior does not work exclusively for women. The woman warrior also cares for our children, our men and our environment. Women warriors are leading the charge to create solutions for diverse causes that affect all people; a world without war, better education, cleaner water, sustainable farming, fewer prisons and improved health care—issue upon issue that cross all gender and cultural lines. Women warriors are here to stay. We sing and dance and protest and shout. We build coalitions and teams and companies with value and purpose. We are marching down main street as equal citizens of the universe with swords of vision held high and the brains and bucks to make things happen. So you want to be a woman warrior? You probably already are one—just look inside yourself, I bet your sacred feminine goddess self is about burst out from under that bra! Have a look at the big smile in your reflection and join the circle – all are welcome.